The Ushers' Joel Markowitz has teamed up with Broadway Bound Meetup's Darlene Olsen to organize theatre trips. Read more about Broadway Bound Meetup here. RSVP to Joel (Joel@ushers.us or 703.447.8805). We typically go to lunch or dinner as part of the outing. Information about the meal will be sent to you after you RSVP, make sure to let us know if you won't be able to make it. For questions or comments about the Ushers, email Joel Markowitz (joel@ushers.us). 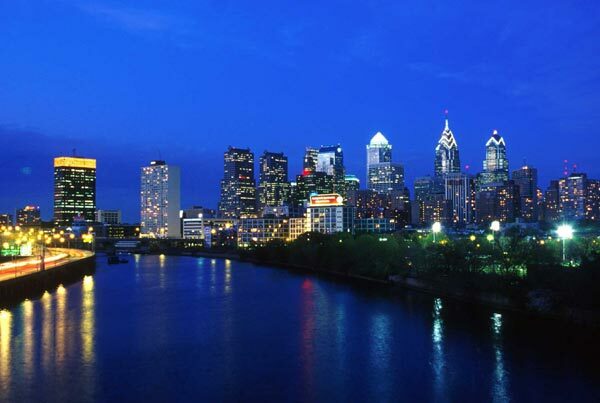 You are invited to a Philadelphia Theatre Weekend on Friday, November 25th, Saturday, November 26th and November 27th – leaving back to DC on Sunday night – or you can stay over Sunday night. It’s the day after Thanksgiving, and a great way to work off all that turkey and stuffing. Our April Philly trip was a blast, so it’s time for another one! On Friday the 25th, we can take AMTRAK (they have a $35 deal for Fridays), or the Eastern Bus at 7th and H Streets – one block from The Gallery Place Metro Stop – at 9 AM, Arriving in Philly at Noon, and get some lunch and check in.You can also make your own transportation arrangements on AMTAK, or drive up and meet us there. We will come back on Sunday the 27th at 6:30 PM on the Eastern Bus, or take Greyhound at 7:15 PM or 8:15 PM, or take AMTRAK at 7:33 PM. Eastern is $28 for a roundtrip. Greyhound is $64 for a roundtrip. AMTRAK is $127 for a roundtrip. I have rooms at Club Quarters -1627 Chestnut Street – for $115 a night including taxes, and the deposit I have to put down per room to allow us to get my membership rate for everyone. It’s a great deal and we have stayed there before. and we know how nice it is and convenient. It’s right in the heart of Center City and is a 10-15 minute walk to the theatres (except to he Arden which is in the Historic Area – and is a 25 minute walk). $85 with taxes and fees. There other options. Jazz, Food Walking Tour of Little Italy. Trolley Tour of Historical Sites, A Flyers or 76er game. We will have three dinners together so we can talk about our shows one at Positano Coast, one in Chinatown, and one in Little Italy. We’ll get a bite at The Reading Terminal. There’s lots of nice boutique shops and a mall across the street and the surrounding streets where we are staying. Let me know if you are interested. I need to know by September 15th, so we don’t lose our rooms at that great rate and get great seats, which I will purchase for the group. I will add a $35 fee to organize your trip. Join us on Saturday, September 24th for Synetic Theater’s Wordless Macbeth at The Crystal City Metro at 5:30 PM for dinner (TBA) and 8:00 p.m. for the show. Price: $28 by check or $31 by paypal for members and $34 for non-members. at the Crystal City Metro (in the old Arena Stage space). I am a huge fan of Synetic Theater because their productions are visually stunning, with incredible dance, movement, athleticism, costumes, and score. We have gotten an amazing deal: $28.00 for tickets. but we need to get 20 people to do it, so please RSVP now. Please RSVP here on this site and answer all 5 questions. We need to know your full name, a cell phone number where I can reach you, an email where I can send you info about the show, a menu, directions, a carpool list and attendees list. This information will not be shared with anyone. It is there to help me organize this event efficiently. *** Please RSVP ASAP. We need 20 people to get this price. You can pay $31.00 by Paypal to joel@ushers.us (they charge me a fee). If the first installment Hamlet…the rest is silence surprised Washington audiences with its silence, Synetic’s second Silent Shakespeare production took the area by storm with a “titanic clash of blood and thunder.” One of the most successful Synetic productions of all time, Macbeth returns with its dark tale of ambition, bloodlust and the supernatural. In 2008, Macbeth was the recipient of five Helen Hayes Awards after being nominated for 11. Set in a dark, impressionistic, military world, Macbeth is a swirl of murder, madness and self-destruction, exploring the outsized ambitions of a husband and wife. Macbeth stars Irakli Kavsadze (2008 Helen Hayes Nominee Outstanding Lead Actor) as the doomed king, Irina Tsikurishvili (2008 Helen Hayes Nominee Outstanding Lead Actress) as Lady Macbeth, Philip Fletcher (2008 Helen Hayes Recipient Outstanding Supporting Actor), Mary Werntz, and Sarah Taurchini as the infamous three witches, Ben Cunis, veteran Synetic Theater Company Member, as Macduff, and Salma Shaw (2008 Helen Hayes Nominee Outstanding Supporting Actress) as Lady Macduff. The production also features Alex Mills, Ryan Sellers, JB Tadena, Dallas Tolentino, Ryan Tumulty, Vato Tsikurishvili and Matt Ward. Starring Irina Tsikurishvili and Irakli Kavsadze. Join us on Saturday, August 20 at 8:00 p.m. at Elden Street Players to see Ain’t Misbehavin’. It’s closing night of The snazzy, jazzy, finger-snapping, toe-tapping Ain’t Misbehavin’ in the intimate Elden Street Players’ Industrial Strength Theatre in Herndon, VA.
“For two hours, I really felt like I was in 1930’s Harem. I was disappointed when the show ended and I had to come back to the reality. ESP’s Ain’t Misbehavin’ is a ‘Must See’ theatrical event. So don’t forget to ‘Grab a jug an’ cut the rug, because that joint was really jumpin’’. We’ll also be having dinner at 5:30 PM at Taste of the World if you wish to attend. RSVP to Joel by email (Joel@ushers.us) or phone (703.447.8805). Join us on Sunday, July 31 at 3:00 p.m. at Scena Theatre @ H Street Playhouse to see The Importance of Being Earnest. Price: $22 by using the code ‘LGBT’ here. Join us on Sunday, June 12 at 5:30 p.m. at Joel’s building for a potluck and the Tony Awards. Price: Bring a dish + $18 by check or $21 by Paypal. Come celebrate the 2011 Broadway Season by attending our Annual Tony Awards Potluck and viewing of the awards ceremony. Cheer for your favorite Broadway shows and performers! Join us on Sunday, June 5 at 2:15 p.m. at MetroStage to see The Real Inspector Hound. Price: $30 by check and $33 by Paypal. Two theatre critics, Moon and Birdboot, watch a ludicrous setup of a country house murder mystery. By chance, they become involved in the action causing a series of events that parallel the play they are watching. Join us on Sunday, May 15 at 1:00 p.m. at Round House Theatre to see Amadeus. Price: $50 by check and $53 by Paypal. When your hard-earned fame has been surpassed by a brilliantly gifted, potty-mouthed golden boy, what else can you do but smile to his face while secretly plotting his downfall? Peter Shaffer’s Amadeus, winner of seven Tony Awards – including Best Play – and the Oscar for Best Picture, depicts the flamboyant genius of Wolfgang Amadeus Mozart as seen through the eyes of his desperately jealous contemporary, composer Antonio Salieri. The Ushers is a theatre-going social group in the Washington, DC metro area. We organize events and also receive many discount ticket offers through our mailing list. 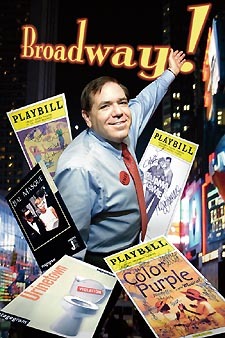 Joel Markowitz has run the Ushers for over 20 years and also interviews actors in DC, Philadelphia, and New York. He is the editor at Maryland Theatre Guide and is also a contributor on BroadwayWorld. Annual membership dues: $25 (individual) / $35 (couple). Please send your questions or request to join to: Joel (Joel@ushers.us or 703.447.8805).